NEW YORK — New York on Thursday sued the billionaire family behind OxyContin, joining a growing list of state and local governments alleging the drugmaker sparked the nation’s opioid crisis by putting hunger for profits over patient safety. The state, which averages nine opioid-related deaths per day, amended an existing lawsuit against pill maker Purdue Pharma to add members of its controlling Sackler family as defendants. The state also added as defendants five other companies that produce opioid painkillers and, in what New York Attorney General Letitia James called a novelty, four drug distributors. “This is an extensive lawsuit that leaves no stone unturned,” James, a Democrat, said at a news conference. The announcement of New York’s expanded lawsuit came two days after Purdue and the Sacklers agreed to pay $270 million to the state of Oklahoma. It was the first settlement in a recent wave of nearly 2,000 lawsuits that the company says could push it into bankruptcy. In settling the case, Purdue denied any wrongdoing. 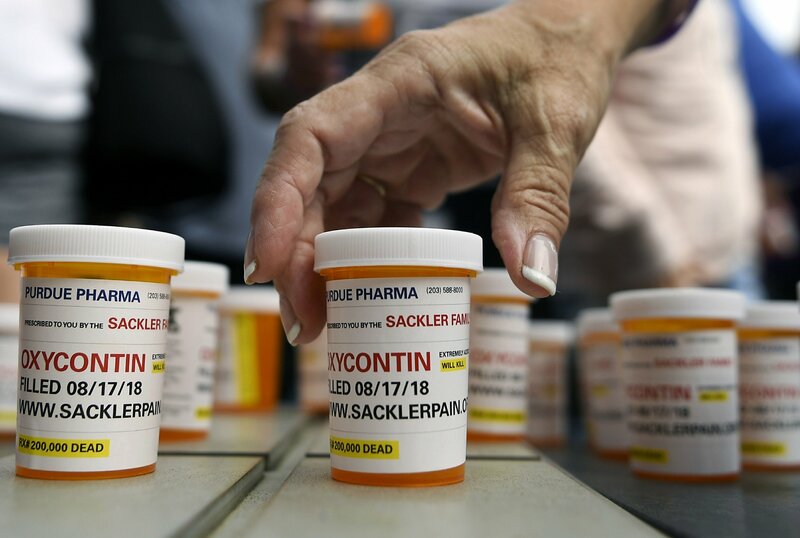 New York’s lawsuit echoes the other cases, alleging the Sacklers’ and Purdue’s aggressive marketing of OxyContin beginning in the mid-1990s led to massive overprescribing and a scourge of dependency, addiction and death. Once the pills ran out, the lawsuit alleges, many patients craving the same effects turned to cheaper, more potent alternatives: heroin and fentanyl. New York’s lawsuit accuses drug manufacturers of collaborating to falsely deny the serious risks of opioid addiction. It accuses drug distributors of saturating the state with opioids while lacking adequate compliance systems to spot potential red flags. Both groups are accused of lying to state regulators. Purdue is accused of downplaying the addiction risks and pushing doctors to increase dosages even as the dangers became known, the lawsuit said. Some of the company’s marketing tactics included hiring a respected New York City doctor to tout the drug and sending representatives on more than a million sales visits to doctors’ offices, the lawsuit said. Members of the Sackler family weren’t defendants in the Oklahoma case and voluntarily contributed to the settlement, the company said. “We have profound compassion for those who are affected by addiction,” the family said in a statement. New York’s lawsuit underscores the impact of opioid addiction in the state. From 2010-2013, the lawsuit said, there was a three-fold increase in heroin-related deaths in New York. Since 2013, opioid-related deaths in the state have more than doubled and there’s been a 30-fold increase in fentanyl-related deaths in New York City. The lawsuit also highlighted the death of one New York woman: Saige Earley, who was found dead last September in a bathroom stall at the Syracuse airport with a needle in her arm and a boarding pass for a flight to drug rehab in her hand. Earley, 23, had turned to heroin after getting hooked on painkillers when she had her wisdom teeth pulled.